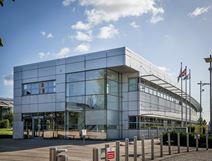 This recently renovated office block in Rainham contains four floors of spacious, flexible, serviced office accommodation with high speed IT and network facilities. It has round the clock access and ample parking spaces. It is situated close to the M25 and Dagenham East station on the London Underground District Line. A wide variety of offices, workshops and studios, and managed reception are available at this stylish business centre. 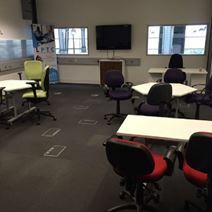 The building is on the CEME campus and licensees have access to the facilities of the ultra modern CEME conference centre, with ample free on-site car parking. In the heart of the Thames Gateway, the centre lies just off the A13 at Rainham, between the M25 and the North Circular Road. This building is located on a campus in Rainham and is close to a choice of train stations for fast links into central London. There is a n abundance of natural light throughout the building which is equipped with state-of-the-art facilities, equipped meeting rooms and an on-site cafe. 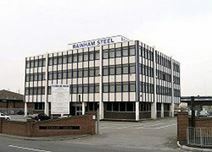 First-class office spaces of various size are available to let in this grade-A building in Rainham. Spread over two floors, these office spaces are provided with all the services and facilities needed to run a successful business: meeting rooms, high-speed internet connection, state-of-the-art technology, auditorium, childcare nursery, training rooms, lounge areas, security service and parking facilities. They are offered at a convenient all-inclusive price. Close to the motorway junction, the building enjoys excellent connections to London and to the airport.